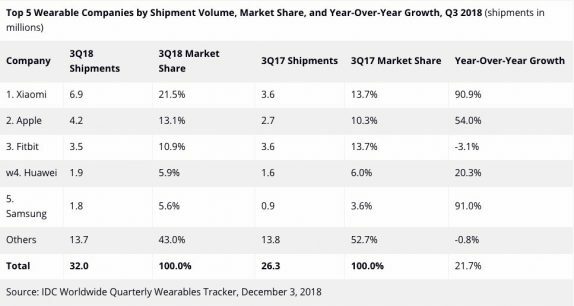 According to IDC, the global shipments of wearable devices reached 32.0 million units in the Q3 2018, up 21.7% from the previous year. New products from the likes of Fitbit, Garmin, and Huawei helped the basic wearables category return to growth during the quarter. Another factor was the growing demand in markets like Asia which accounted for more than half of all shipments and grew 21.4% compared to the previous year. However, the United States which is the second largest market saw its year-over-year decline of 0.4% as it transitions from a market driven by new users to one that relies on replacement devices and upgrades. The smartwatch segment also evolved during the quarter as Apple and Fitbit continue to focus on the healthcare market. The healthcare market is quickly becoming the next frontier for wearables brands to conquer. Xiaomi retained the top place during the quarter thanks to the success of the Mi Band 3 and significant expansion beyond its home country of China. Though typically China accounts for well over 80% of Xiaomi’s shipment volume, this quarter that share fell to 61% as the company managed to grow its presence in other markets such as India, Europe, and Middle East & Africa. Apple managed to secure second place thanks to the latest Watch Series 4 which is approved for medical use. 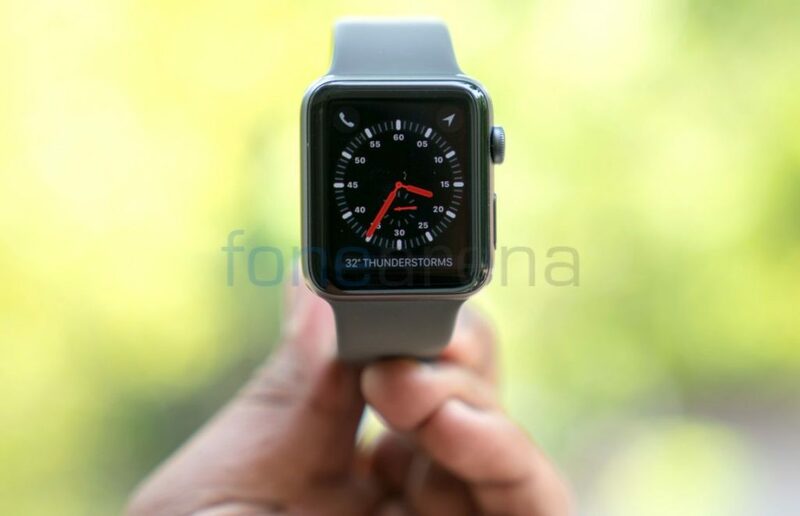 The new design and sizes along with the latest version of Watch OS were welcome changes. The latest series only accounted for less than 20% of all Apple Watch shipments. The reduced price on the still affable Series 3 accounted for the majority of Apple’s shipments during the quarter. Fitbit’s latest devices, including the Versa, Charge 3, and the Ace, helped the company slow its decline compared to previous quarters. In particular, the success of the Versa has allowed the company to once again become the second largest smartwatch vendor. Huawei surpassed Samsung to retain fourth place, thanks to the newest TalkBand B5 series of wristbands which maintains its unique approach of combining a Bluetooth earpiece with a fitness tracker. Meanwhile, its Honor sub-brand introduced a new set of earphones that tracks heart rate during workouts. Finally, it is Samsung in the fifth place for the quarter. The company launched its next-generation smartwatch; the Galaxy Watch, but relies heavily on its Gear S3 and its smart Gear Fit wristbands to drive volumes, and its connected wearables posted continued sequential growth.